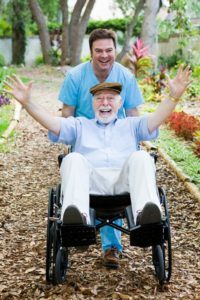 Medicare Supplement added two new plans; Plans M and N.
Good Neighbor Insurance, www.gninsurance.com, provides Medicare Supplement plans to its clients in Arizona and throughout the U.S. Overall, plans M and N are generally lower-priced than other Medicare supplement plans for a simple reason: Policy holders pay more of the out-of-pocket costs Medicare does not cover. For example, Plan M pays half of the Medicare Part A $1,100 deductible. And, Plan M does not pay the Medicare Part B $155 deductible or for excess benefits, policyholders do. That lowers the policyholder’s annual premium. Plans M and N will be provided by most insurance companies who serve the Medicare markets which began on June 1st, 2010. Plan N premiums may be comparable to MA (Medicare Advantage) plans in most areas, yet Plan N policyholders will not have the MA plan’s network restrictions and additional cost-sharing at points of service. As with any choice, it comes down to what each person is comfortable with. Plans M and N might be attractive options for those who prefer lower premiums in exchange for higher out-of-pocket costs. Doug Gulleson loves to scuba dive overseas and makes sure he always takes his Amex card AND international travel insurance. Visit Good Neighbor Insurance at www.overseashealthinsurance.com/short-term.asp for your next overseas trip health coverage and get a FREE quote or call one of our agents at 480-633-9500. Blog Home > Medicare supplement > Medicare Supplement added two new plans; Plans M and N.